Tales from the Real OC (Really! ): Dark Flame Excerpt #4! COOL!!!! that was an awsome mini-expert!!! :) shes talking about Jude right? Only 8 more days until Dark Flame!!! i have to finnish reading 2 books by then so i can read it the day it comes out!!! @Jenna: No, I believe she's talking 'bout Roman. I have a weird thought of Roman and Ever being together. Damen reminds me of another Edward C.
B.t.w. I love your books! Hi Jenna- She's talking about Roman! Good luck with all of your reading! Hi AngelicaKIANA- Yep, that's Roman! I sort of like these one line excerpts better than a paragraph or few pages, too! Thanks! Ahhh! I'm so excited! Keep on writing! Ow, that being Roman, I can't wait to see how tortured Ever probably will to be thinking about his ow-so-tanned skin !! Great excerpt Alyson !!! Thanks !! Hi Kai- Yeah, the one liners make it fun trying to figure out who it's about! Thanks, Kirsten--hope you enjoy it! I love Eternal Flame!! It was nice to see what Damen is thinking about. Just a suggestion, I think that you should continue with Damen's perspective of how he managed to find Ever through her different reincarnations. It would be interesting and nice to know how Damen felt. 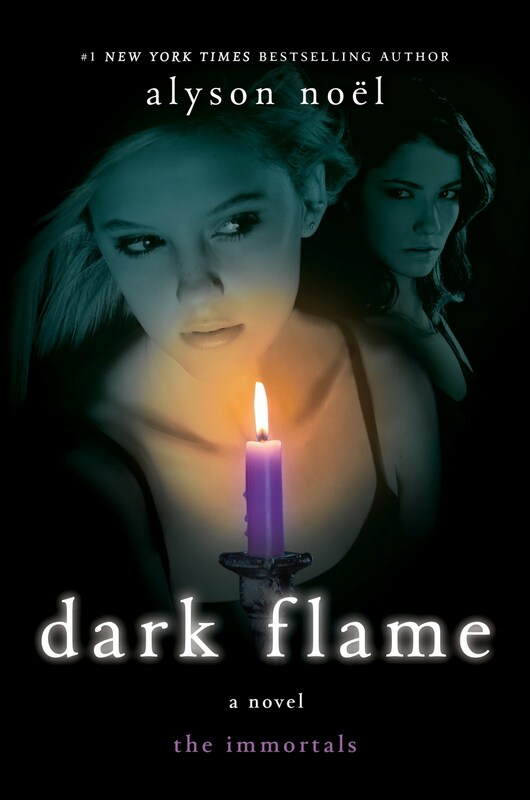 Can't wait until Dark Flame comes out!! HI Miranda- Thanks, I'm so glad you liked it! I'd really like to continue the story since it was so much fun to write, I just have to find the time . . . I agree with Miranda! Eternal Flame was soo interesting to read..I absolutely loved it! (: I got super sad when I finished it..haha! Great job on that, thoughh (: you definitely should continue! P.S. This may sound creepy, haha, but I love the name Ever soo much, I already planned to name my daughter that. Hahah! Sorry if that's weird (: I just HAD to tell you!